I don’t know about you but since the OP-Z and the enormous lead time I’ve gone a bit cold on Teenage Engineering. We all love the Pocket Operators but they seemed to get lost in the OP-Z development. Now we know they weren’t lost at all, they were all working on far more fabulous things! 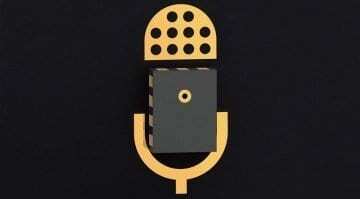 Introducing Pocket Operator Modular. Wow! I am blown away. I take back everything I said about Teenage Engineering, this is completely stunning. 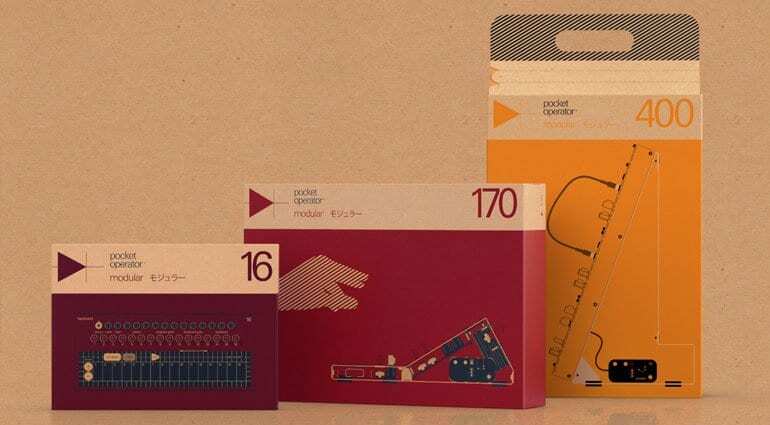 It’s a bunch of modular synths, using their own format of modules in an amazing design for an awesome price. Wow! This is the stuff! 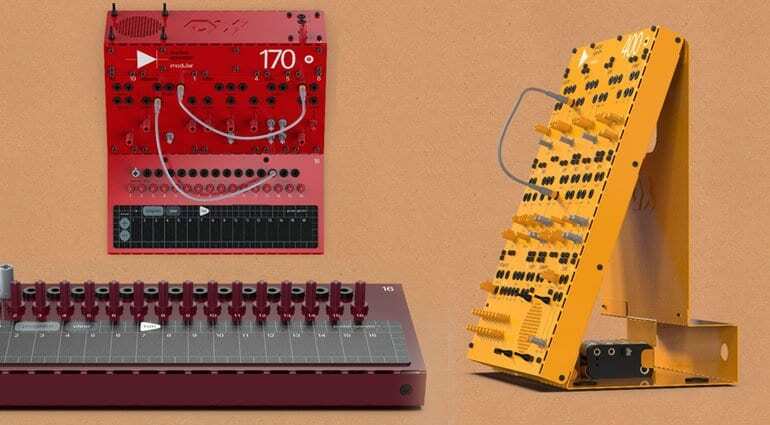 The red one is a monophonic analog synth with a built-in keyboard and sequencer. It comes with 9 modules, 8 patch cables a speaker box and a battery pack. The synthesis modules include a square wave oscillator, filter, LFO, envelope and VCA. 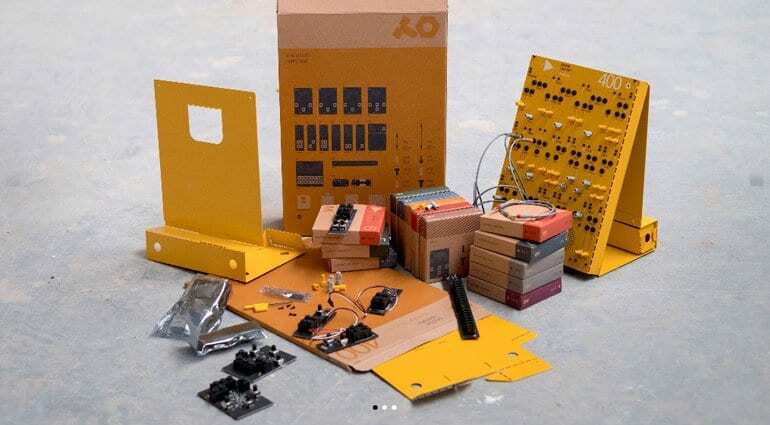 The yellow one has a bit of an Analogue Solutions Fusebox vibe to it. It has 3 oscillators, noise, random generator, 2 envelopes, 2 VCA’s, LFO filter, mixer, sequencer and then the speaker box and battery pack. 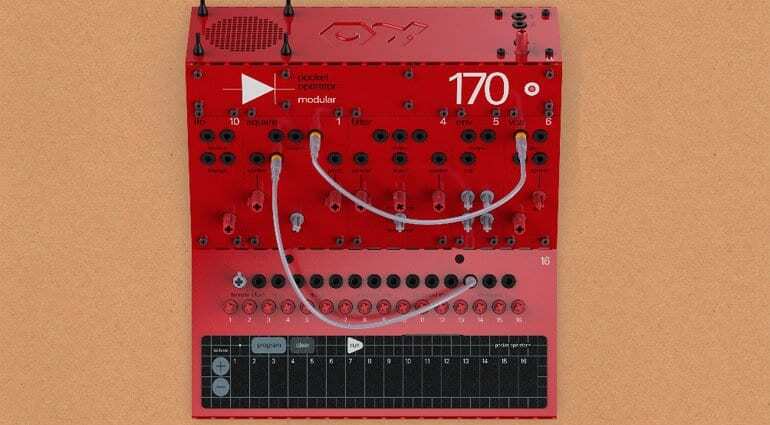 In total it comes with 16 modules and 15 patch cables. And lastly the burgundy one is the keyboard and sequencer of the 170. It has 16 steps, has CV and gate outputs and can work with any sort of modular, not just the Pocket Operators. 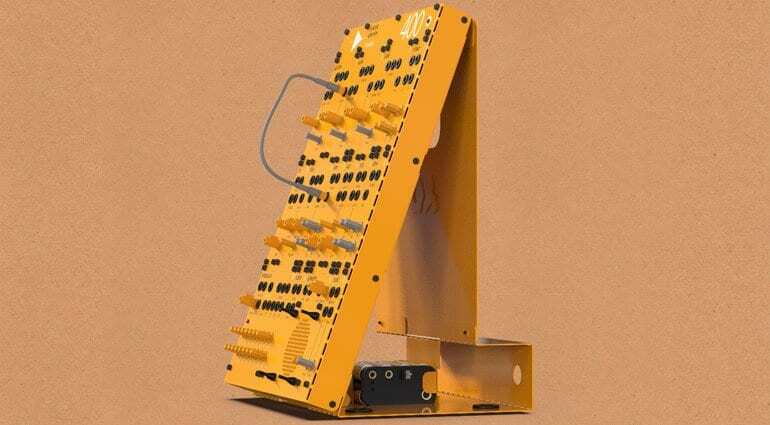 Teenage Engineering has gone all out on these playful bits of modular music-making gear. The look fantastic, the kit angle is brilliant and the sound and functionality is perfect for bringing modular concepts to the masses. The control voltages at play are compatible with other analogue synthesizers and Eurorack. The modules themselves are too short for Eurorack but they are spaced in HP widths and Teenage Engineering suggest that with a bit of DIY front panel making these could quite happily drop into a Eurorack case and take Eurorack power. That is doing things right. Ready for the pricing? The 16 is £139, the 170 is £329 and the 400 is £469. They are not bargain basement but they are also within the realms of similar synthesizers. I guess it all comes down to how they feel and how they sound to you. They will be available in a couple of weeks, just after NAMM and they do plan to release the modules separately at some point. 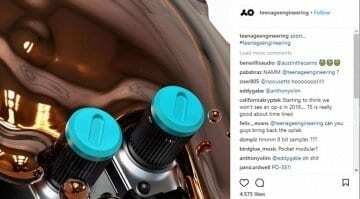 Teenage Engineering, you’ve made my day. 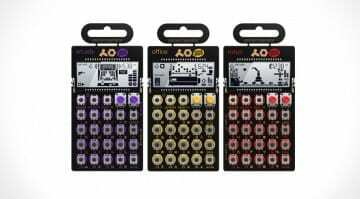 NAMM 2018: Is Teenage Engineering teasing a new Pocket Operator or two? 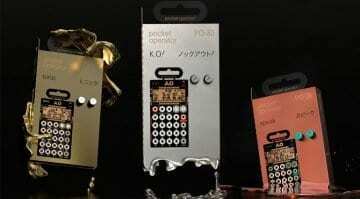 A Pocket Operator Sampler from Teenage Engineering? Could be!